The University of Baltimore School of Law is pleased to have Lyle Denniston, long-time Supreme Court reporter and unofficial "dean" of the Supreme Court press corps as the Wilson H. Elkins Professor of Academic Transformation with the University of Baltimore's Bank of America Center for Excellence in Learning, Teaching and Technology. In this role, Professor Denniston will deliver six lectures in the 2016-17 academic year, three in the fall and three in the spring. 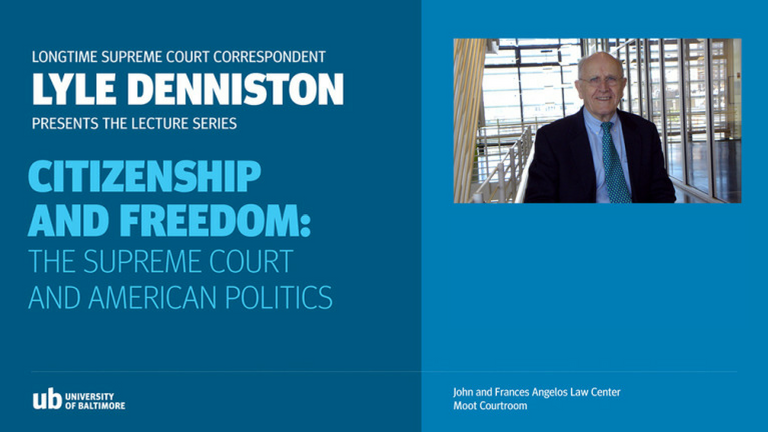 The fall series is titled "Citizenship and Freedom: The Supreme Court and American Politics."